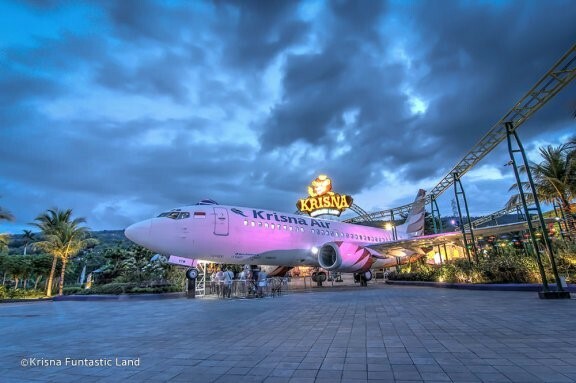 Krisna Funtastic Land amusement park is located on Bali’s northern coast near famous Lovina Beach, approximately 12km west of Singaraja town. The park offers some 16 amusement rides with varying levels of excitement and is sure to be one of the highlights of your kid’s trip to Bali. It has the quaint feel of a summer fair, rather than the thrill of Disneyland, but it does offer a range of rides with varying levels of excitement. For the little ones, a classic miniature train and bumper cars provide fun experiences at a gentler pace. For the adrenaline junkies in the family, try the Airborne Shoot or the Flying Cakra. Of course, mum and dad can even jump on and have a ride too! Krisna Funtastic Land is located behind the Krisna Oleh-Oleh souvenir store in Lovina.